Enterprise Management Associates (EMA), a leading IT and data management research and consulting firm, today announced it will host a webinar titled “Eliminate Workload Automation Guess Work with Machine Learning,” featuring Dan Twing, president and chief operating officer of EMA, and Dr. Maitreya Natu, chief scientist, ignio for Batch at Digitate. Digitalization is sweeping business operations and increasing pressure on IT. Digital business success requires an organization to transform not only its business processes but also its underlying IT infrastructure. Digital business requires speed, agility and strategy. Teams burdened with disconnected legacy tools and pockets of uncoordinated automation, however, struggle to achieve these requirements. 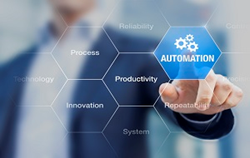 In today’s fast-paced world, automation needs to be coordinated with an overall view of automation functions that span operations, development and business functions. Self-service interfaces, DevOps empowering APIs and reusable objects deliver speed and agility. Freed from repetitive manual tasks and empowered with visibility, IT and business staff can turn their attention to strategically applying digitalization to the business.